We’re sure you’ve all seen those glorious beer can cakes. They make for the perfect birthday surprise and an alternative birthday cake for the beer geek in your life. Pick up your beer-lovers’ favourite beers. You can use all the same beers or mix it up with different types of beers. The size of your beer can cake is dependant on how many packs of beer or beer cans you have. If it’s your first time, best to start off with a 12-pack, but as you get more advanced, feel free to move up to 18 and 24 packs. Here’s a video tutorial of how to make a beer can cake out of a 12-pack. The simplest way to decorate your beer can cake would be with the ribbon, but don’t be afraid to get creative and add more decorative objects on your beer cake! You can colour-coordinate the ribbons and cans, top it off with a balloon on a stick, pictures of the birthday beer geek, stickers and so much more. 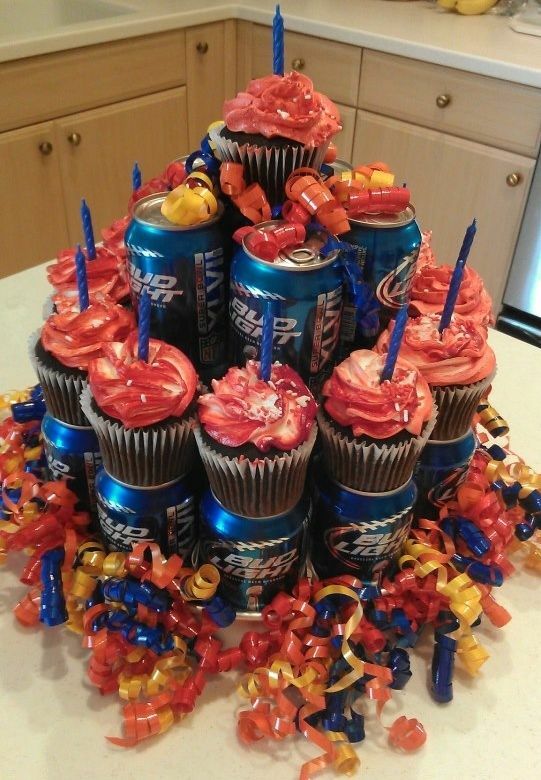 You can also brainstorm beer can cake ideas with +25 best ideas for Beer Can Cakes on Pinterest. We added one of our favourite beer cake ideas below. A beer can cake decorated with actual cupcakes and candles! Did you try out this DIY Beer Can Cake? for a chance to be featured on one of the JustBeer social channels! 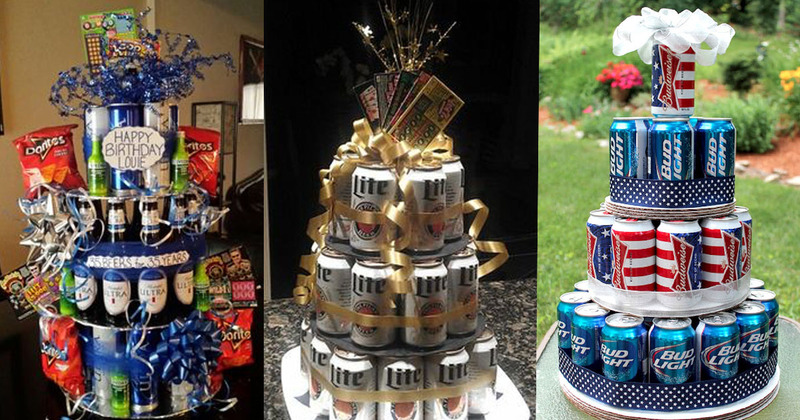 Now that you know how to make a beer can cake, check out these other cool beer articles below! Join a Brit & a Broad on their beer journey to Portland, Oregon.